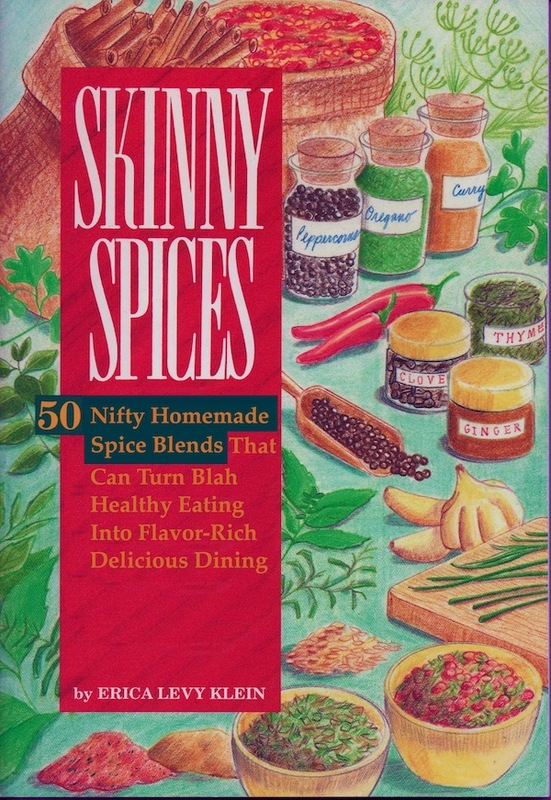 I can't tell you how much my heart goes out to Erica Levy Klein author of Skinny Spices. The woman has been through weight loss hell... yo-yo weight gain, botched gastric bypass surgery... you name it. But Erica has been able to maintain a healthy weight since she discovered that light eating doesn't have to be dull eating. Spices add flavor and satisfaction without adding calories to meals. Erica has come up with a variety of flavor blends that you can add to meals simply and quickly... Most of the recipes she has created can be whipped up in under an hour. Erica's e- book is so easy to use. Say you have a certain spice on hand or are in the mood for, you can click on that spice in Erica's book and find a list of recipes that use just the seasoning flavor you feel like having. By stimulating your palate with a with a variety of flavors you are less liking to get cravings for the foods that put on weight. I recommend this cookbook for anyone who wants to eat light to prevent weight gain or who wants to lose weight without depriving herself of a variety of flavor rich foods and spice. Sounds like this would be perfect for you. Good Luck. Oh I am going to look for the Cheesy creme brulee recipe! Sounds like it would be a winner at our house! I'm a little scared about that recipe.. it requires a torch and after my immersion blender accident I'm a little nervous. I might have my husband brown them. My dh is the king of spices in our house. I'm trying to take after his example, and add more spices to my dishes, not that my dishes are bland. They just need a little more flavor, and more garlic. Well, you would like this book... she has all types of spice blends for meat, vegetables etc... good luck.